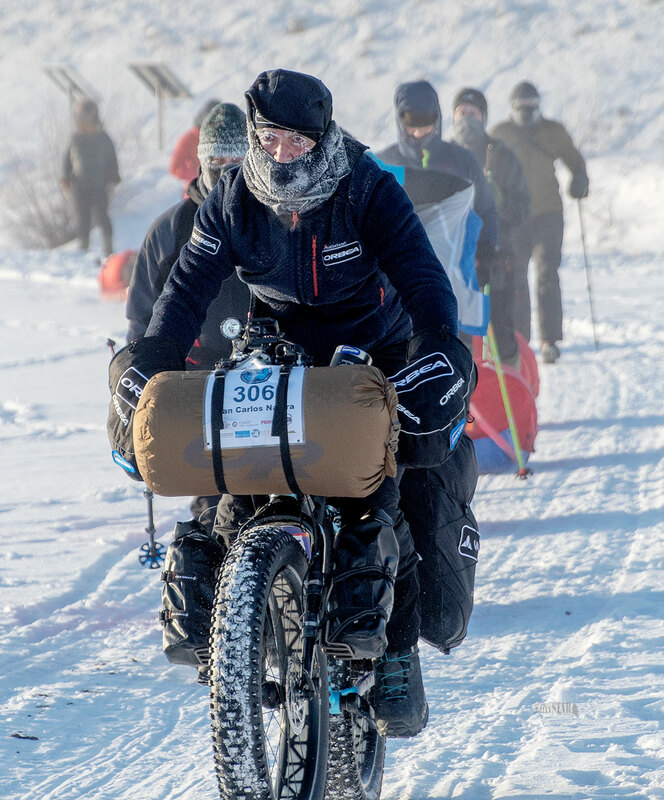 A HARDY BUNCH – Competitors in the Yukon Arctic Ultra walked, skied and biked as they left the start in Whitehorse Sunday morning and hit the Yukon Quest trail in frigid tem- peratures. Some were bound for the finish of the 100-mile category in Braeburn, some for the finish of the 300, in Pelly Crossing and some were headed all the way to Dawson in the 430-mile race. Race leaders in the annual Yukon Arctic Ultra were out of Ken Lake this morning and on their way to the Carmacks checkpoint. Thierry Corbarieu of France was leading the way, followed in second by Christof Teuscher of Portland, Oregon and Enrico Ghidoni of Italy in third. 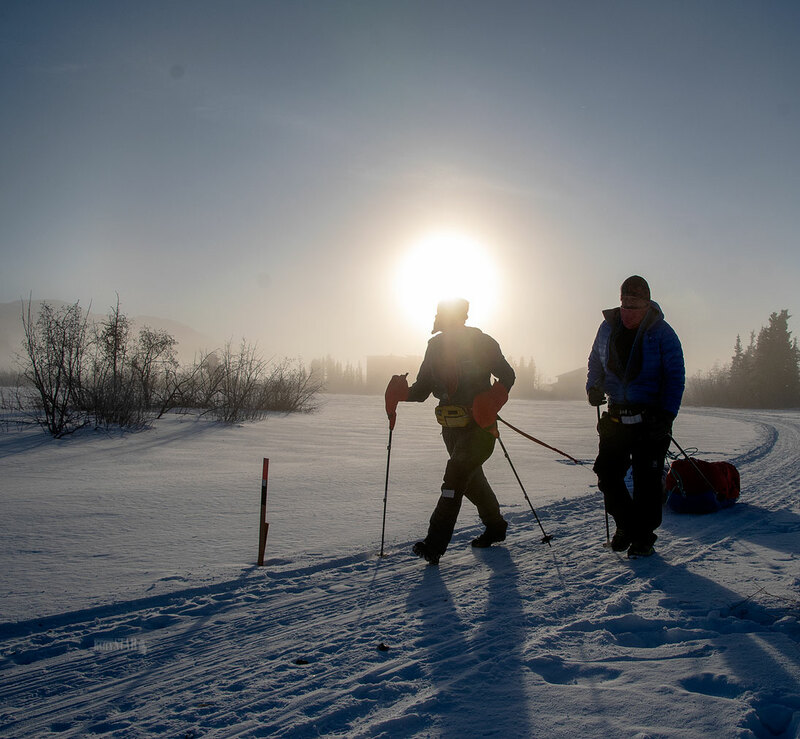 All three men are competing in the 430-mile trek to Dawson City. Pat Cooke-Rogers of England was the only woman in the 430 category who was out of Ken Lake this morning. Marianne Heading of England was leading all competitors in the 300-mile race to Pelly Crossing, and was the only one out of Ken Lake. Pablo Criado Toca of Spain won the 100-mile race to Braeburn in a blistering one day, seven hours and 37 minutes. Brady Kyle (country not available) was in second in a time of 1:22:06 and Jose Luis Romero, also of Spain, finished third just over an hour behind Kyle. There were 76 competitors in all categories who took to the Yukon Quest trail on Sunday morning, a day after the dogs charged out of the chute at Shipyards Park. The bitter cold that ushered off the mushers was the same Sunday morning. As of 10 a.m. today, 18 Yukon Ultra competitors had scratched.